At St John’s we believe passionately in investing in the lives of our children and young people to help them grow as followers of Jesus Christ and to live out their faith in Jesus Christ with their families, friends and in school. Sunday School meets at 10.30 a.m. and children who are attending the morning service leave to attend Sunday School. Whereas children are encouraged to attend the morning service with their parents, children are also welcome to attend directly to the Sunday School. Sunday School is run in 5 groups according to age. The teaching materials in use in the Sunday School are inter-active, relevant and geared for each age range and various methods are used to enhance learning including multi-media, drama and visual aids. We also run a ‘Post Confirmation Discipleship Class’ which takes place in The LOGIC. Our Junior Choir sings once a month at the 10.00am service. They practice on Wednesdays, 6:45-7:15pm, in the Parish Centre. 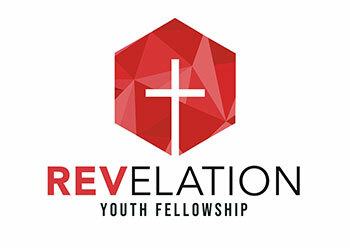 Revelation Youth Fellowship is an organisation that runs every Sunday night from 6.45pm to 8.30pm in the Parish Centre for year 8s to year 14s. The aim of Revelation is to be a place of fellowship for our young people within the Parish. At Revelation we seek to encourage and explore the journey of faith we are all taking we do this through group work, relevant topics and discussions, finishing the night with some games and fun activities. Revelation is an informal setting in which we meet and we welcome anyone in year 8 to year 14. On some occasions during the year we do trips away, such as weekends, bowling trips and many other. Revelation has a strong history of attending the likes of summer madness each year, which has always proven to be a great event. DMC or Deep meaningful conversation is a small group, which meets every other Thursday night from 6.30pm to 8.00pm. DMC is for anyone from Revelation or year 8 to year 14. At DMC we seek to take a deeper look at all things regarding our faith and the many questions and issues facing the 21st century Christian. We seek to explore the issues facing Christians today by looking at various resources and discussion points. If the deep meaningful conversation isn’t enough to draw you in then the pizza we have before each session should. DMC is an informal, fun and tasty opportunity to explore our faith and journey together through some of the bigger questions of life, faith and God.